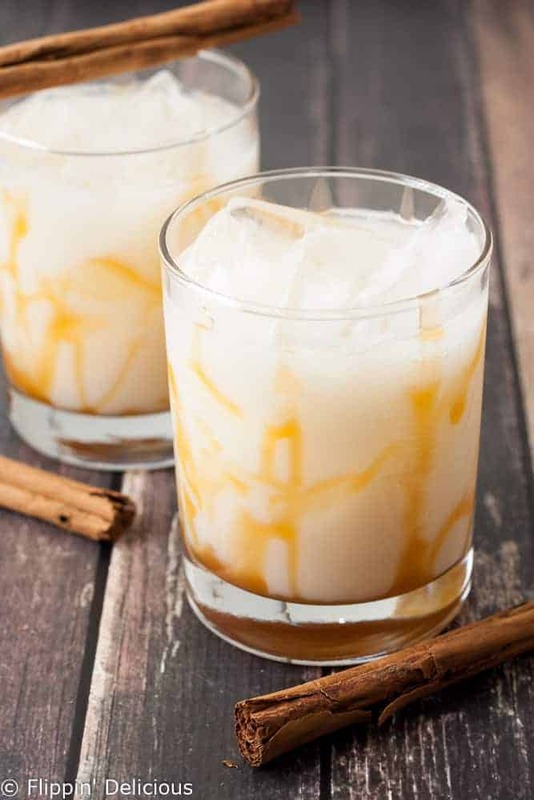 This Easy Dulce De Leche Horchata Cocktail is sweet and nutty with great caramel flavor and just a hint of cinnamon. This recipe is sponsored by Elmhurst Naturals Horchata. As always, all opinions are my own. You are in for a special treat! Have you ever heard of Horchata? 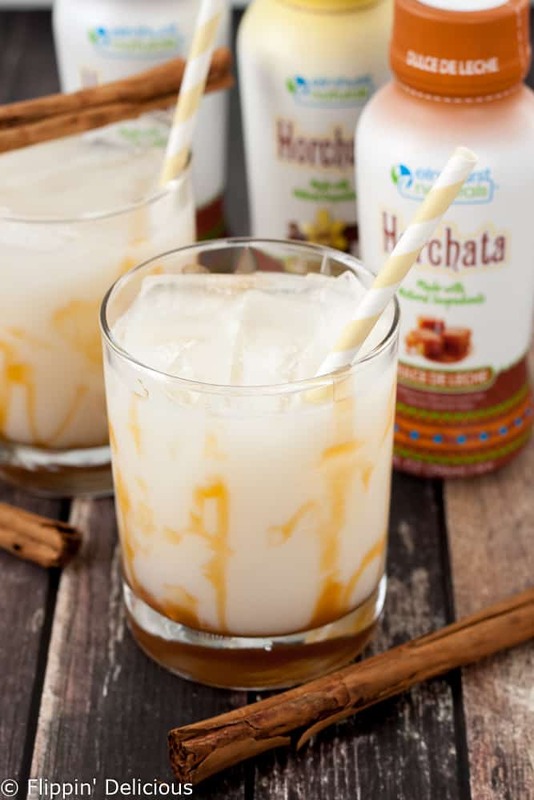 Horchata is a sweet and fragrant drink that is good by iteslf, or with tacos. 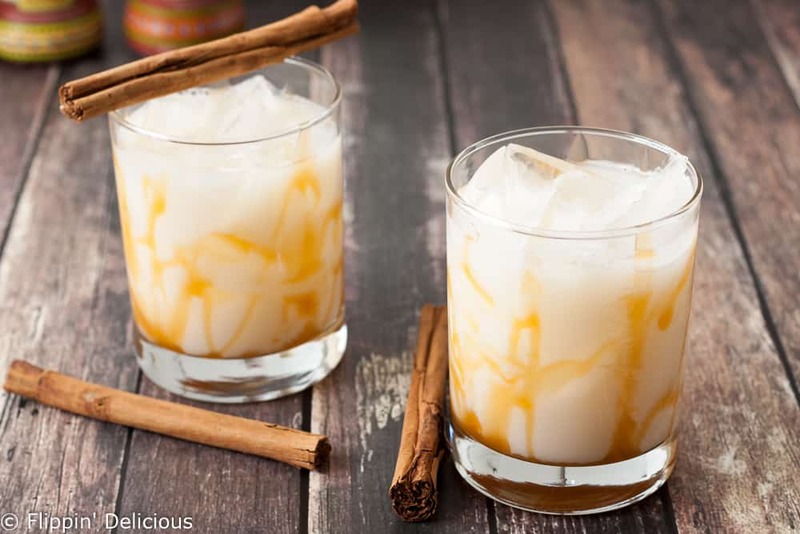 Or in this fun dulce de leche horchata cocktail. When I worked with Elmhurst Naturals Banana Water last month on these Pomegranate Banana Popsicles I also got to try their sister-line of Horchata. Not only do they have a traditional horchata, but they also have a dulce de leche horchata and cocoa horchata. How fun is that? While Horchata is fun to sip alone, I wanted to get the party started with a fun cocktail. Have you ever heard of Rum-Chata? Rum-Chata is a cocktail made by mixing rum and horchata. Pretty simple (and yummy.) I could have just made a Rum Chata, but I wanted to have a little more fun and experiment with some of the unique flavors pf Elmhurst Naturals Horchata. And that is how this Dulce De Leche Horchata Cocktail was born. In case you don’t know what Dulce De Leche is, it is basically a milk caramel made by cooking sweetened condensed milk. I accented the dulce de leche horchata flavors by drizzling caramel sauce on the sides of my glasses before adding ice. Then I just mixed up some vodka and Dulce De Leche Horchata and poured it over the ice. The cocktail itself is simple, with just a few ingredients. But WOW the taste. Milky, creamy, sweet, with just a hint of cinnamon and almond nuttiness. I used some whipped cream or vanilla flavored vodka, but you could easily use regular vodka and a little simple syrup (or even more caramel) to sweeten your cocktail to taste. There is always a debate about whether or not distilled alcohol made with gluten-containing grains is safe for those who have celiac disease. 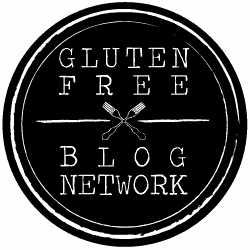 GF Jules (who I LOVE) has written an article about gluten free alcohol (which I highly recommend you read, it is a great resource.) The summary of it is that distilled alcohol is safe for those with celiac disease as long as a gluten-containing ingredient isn’t added back in after the alcohol is distilled. I suggest you do your own research and pick a vodka (or other distilled alcohol) that you are comfortable with. If alcohol isn’t your thing, there are plenty of mocktail options too! 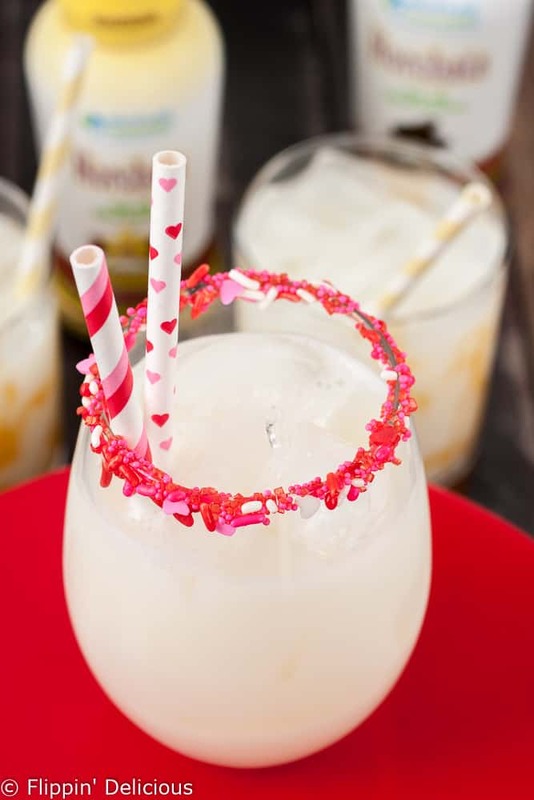 I made a mocktail for my kids using Traditional Horchata and a little sparkling water for fizz. I also rimmed the glass in 4 different kinds of Valentine’s Day sprinkles. I am really tempted to drink everything from a sprinkle-rimmed glass from now on. It is so FUN! 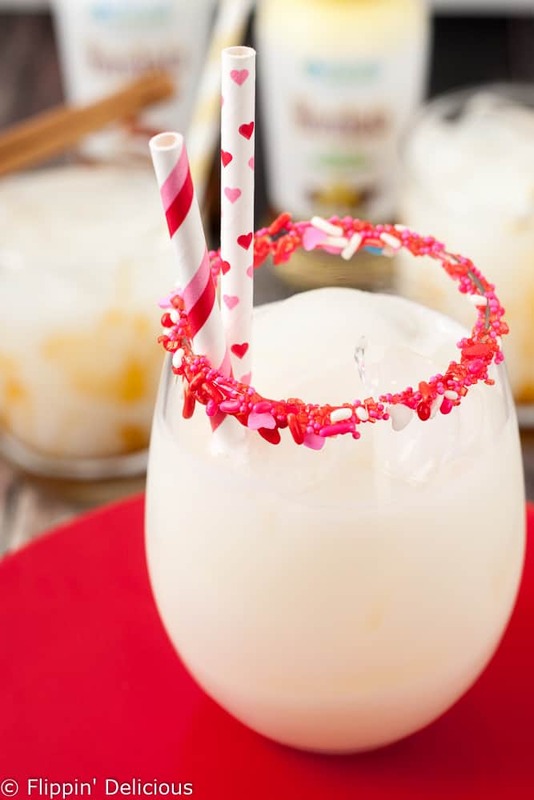 I am planning to make some more mocktails for a Galentine’s day manicure party I am having with friends this weekend. I have my sprinkles and my Horchata ready! 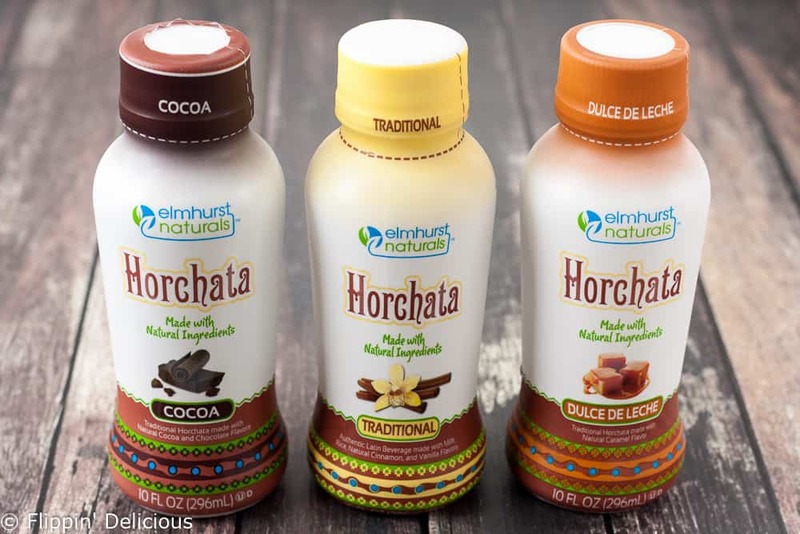 All the flavors of Elmhurst Naturals Horachata are available on Amazon. I know I like to save a little money whenever I can, so I have a coupon code for you too. At checkout use coupon code Banana12 for $5 off a 12 pack of Banana Water and/or Horchata OR use Banana06 for $2 off a 6 pack of Banana Water and/or Horchata. Mix together the Dulce De Leche Horchata and the vodka. Drizzle caramel syrup on the inside of 2 serving glasses and then fill the glasses with ice. Divide the horchata mixture between the 2 glasses and enjoy. To rim your glass for Valentine's Day (or any holiday for that matter) all you need are some sprinkles and a little caramel sauce, honey, or corn syrup. Rub the rim of the glass with the caramel (or honey or corn syrup) and then dip it into a small bowl filled with sprinkles. For the Mocktail I rimmed my glass with sprinkles, then I filled the glass with ice. Next I filled it up ⅔-3/4 of the way with horchata and then added a little sparkling water for fizz. What a simple flavorful cocktail! Thanks for the love, Brianna – back atcha! Maybe someday soon we can visit again over a Horchata! 😉 This looks so amazing – do you think I could make it with coconut milk? I love your cocktail recipe. 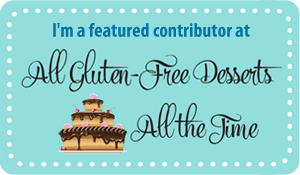 While reading your blog, I couldn’t contain my excitement as I was imagining how delicious your recipe is. I really like dulce de leche, and I was amazed that It can turn into a healthy cocktail. Thank you for sharing your idea. Bravo!